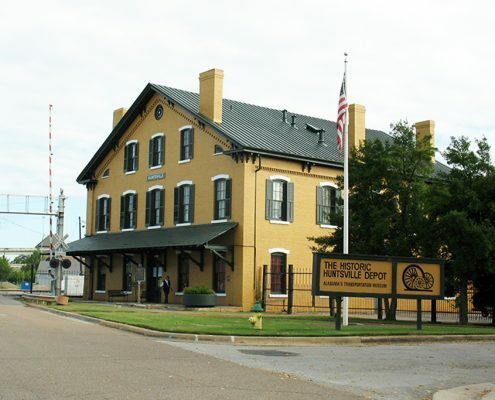 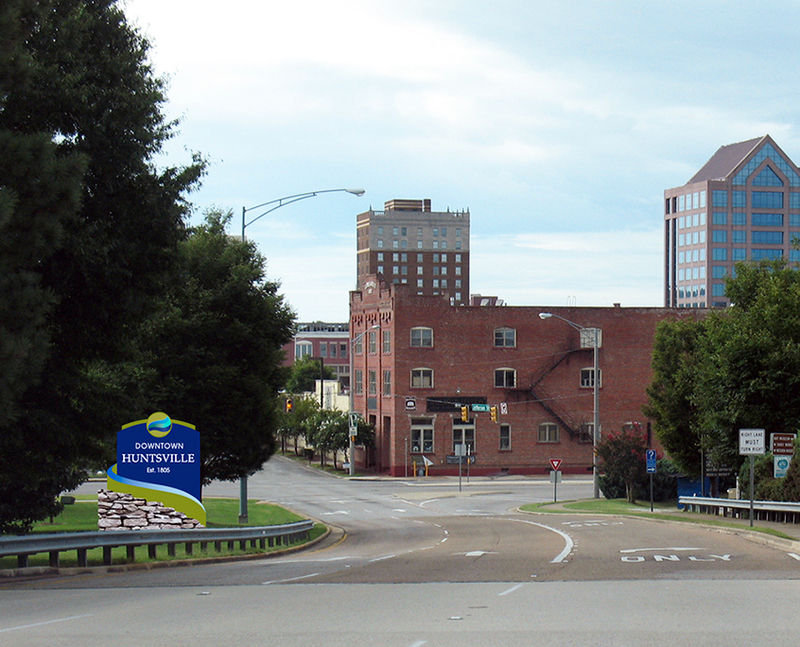 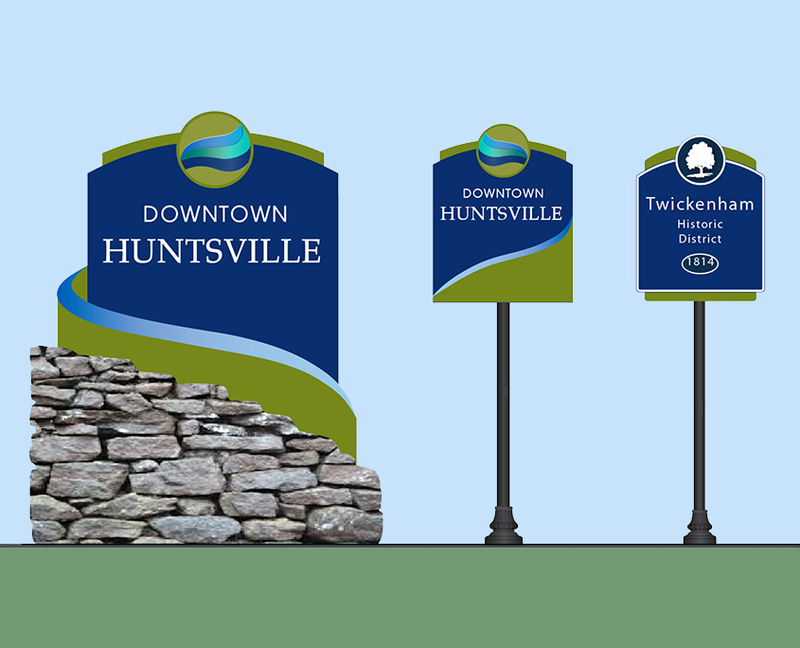 Huntsville, a city of over 180,000 people in northern Alabama has created a balance that celebrates the city’s heritage, historic neighborhoods and sites, while forging new growth in the U.S. space and technology industries. 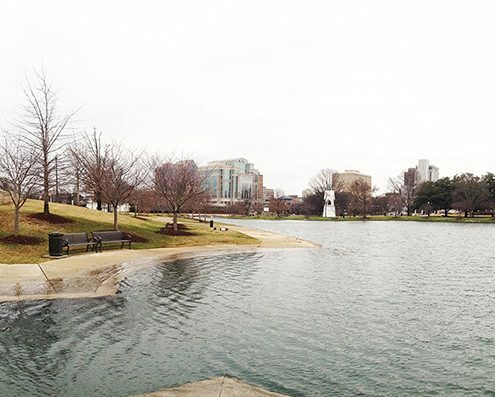 Whether it’s being an ‘astronaut for a day’ or strolling through parks and visiting museums, the city has a wealth of recreational and cultural opportunities. 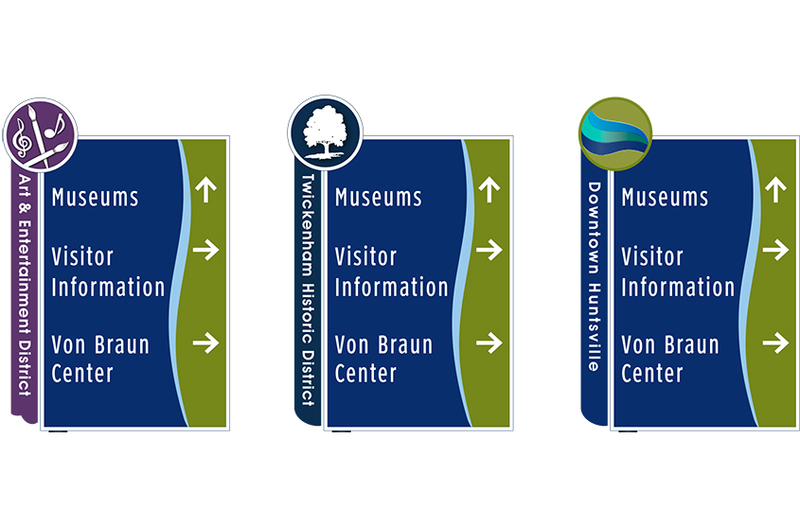 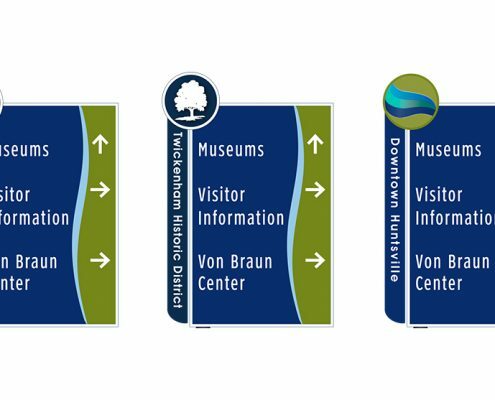 With the goal of providing better access to and promoting their historic downtown, the City contracted with Frazier Associates to develop a wayfinding system to guide travelers from the area’s major highways to key destinations and parking facilities. 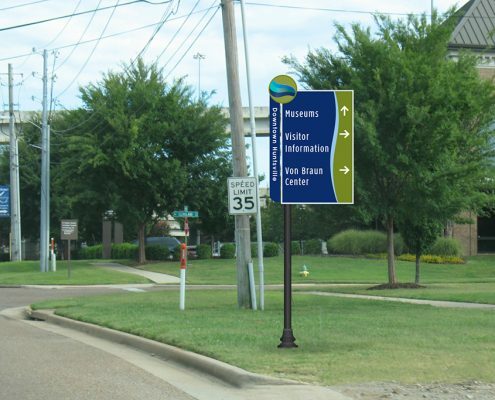 In addition, the system will guide pedestrians within the downtown to its various tourism, entertainment, shopping and dining venues. 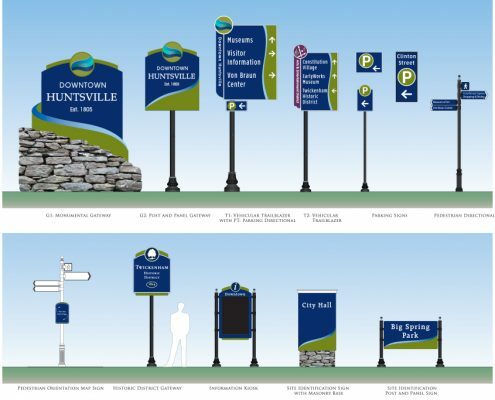 Included in the project are designs for primary and secondary gateway signs, vehicular trailblazers, parking, site and historic district signs, pedestrian directional, and information kiosks.